Main screen configure and test the application. Settings - configure connections, usernames, passwords, etc. 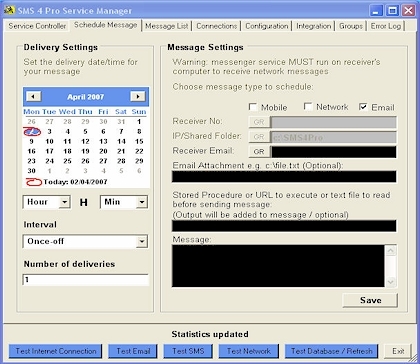 Schedule messages - to be delivered at regular Intervals to single or multiple users. 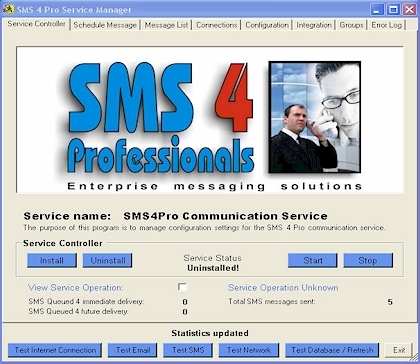 Messages can be sent through SMS, Email or Network pop-up.